The graduating class of 2017 will be the last class to have experienced the swell of community support firsthand in the immediate aftermath of the May 23, 2014 Isla Vista tragedy; six lives were taken that day. It is a memory and a loss appended to the social media posts of many this week — one that lingers in the hearts and minds of so many more. With this issue, we hope not to sensationalize a tragic event for thousands of University of California, Santa Barbara students, but to bring to light the many people who worked tirelessly that day, and in the days following, to rebuild this community. Their friends and families, and this community, have moved mountains to make sure that the victims of the tragedy will never be forgotten, and we recognize that there are many parts of their stories that are still untold. The growth of this community through grassroots healing movements has been unparalleled. 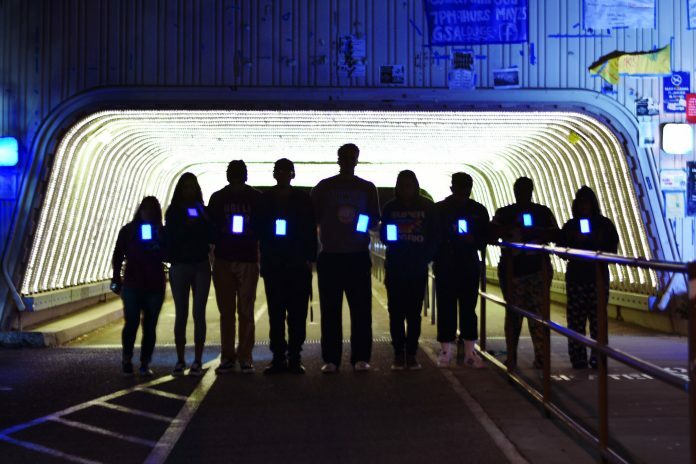 From a movement to destigmatize mental illness to the creation of community-building events, it is through this slow and often painful journey that UCSB and Isla Vista have come to be what they are today. Our editors, writers, and photographers have put together this issue in hope that this will be a space for our readers to reflect on the events that transpired that night and the aftermath. We hope that you, or someone you know, will find this to be an opportunity for reflection and healing. In memory of George Chen, Katherine Cooper, Cheng Yuan “James” Hong, Christopher Michaels-Martinez, Weihan “David” Wang, and Veronika Weiss. In remembrance. In solidarity.